The “I am Clark’s Creek” booklet. Chemicals used on lawns along the Creek end up in the water. http://jackiebrookner.com/wp-content/uploads/2013/04/2-ACL-Puyallup-658x500.jpg658500The “I am Clark’s Creek” booklet. http://jackiebrookner.com/wp-content/uploads/2013/04/1-ACL-Puyallup-681x500.jpg681500Chemicals used on lawns along the Creek end up in the water. 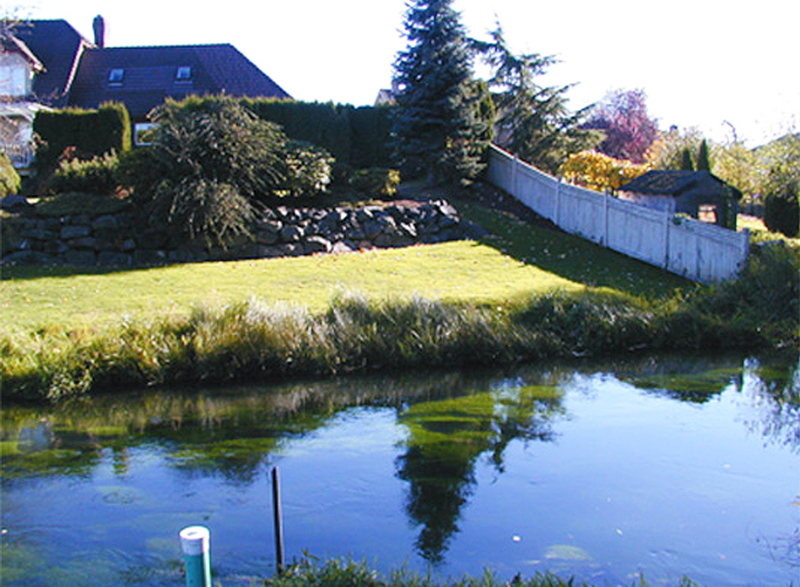 In Puyallup, we worked to support plans for the Clark’s Creek a greenway corridor. Clark’s Creek emerges from artesian springs and flows two miles to its confluence with the Puyallup River. The greenway addresses water quality and flood control issues, provide public access to the watershed, and create opportunities for public-private interests in watershed stewardship. 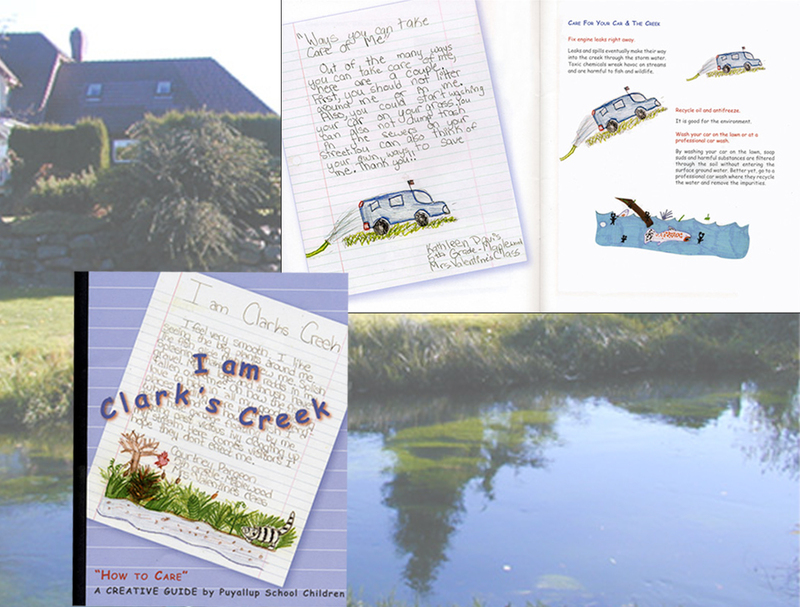 We worked with local primary school art and science programs to produce the “I am Clark’s Creek “ booklet. Told from the creek’s point of view, it encourages healthy watershed practices for homeowners along the Creek.